When a dog is presented to me with itchy skin, bald patches or eczema I always ask if the dog is being treated for fleas. Even if the owner has never seen fleas on the dog it is still possible that they are present and causing the dog to itch due to an allergic reaction to their bites. If your dog has bald patches of skin, especially along the back or the groin and inner thighs then always consider fleas to be a potential cause. Likewise, if your dog has eczema most vets will suggest a flea control regime be implemented regardless of whether you have seen fleas or not. (There is a very simple test which you can perform at home to check if fleas are present on your dog: Put a large piece of damp, white tissue paper under your dog. Comb your dog's coat thoroughly, especially the back and rump areas over the tissue paper. Search for brown specks of debris on the white paper which absorb water and produce a reddish ring around them. These specks are flea faeces and indicate the presence of fleas on your pet.) 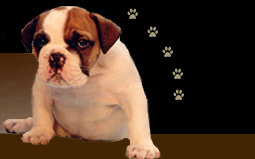 For much more information about fleas and their control see the section on fleas. Although fleas are the most frequent parasites to cause pruritus (itchiness) in dogs there are a number of others which often cause problems. Ticks often cause localised itching and may also cause other problems since they are capable of spreading several diseases. For example, Lyme disease is spread by ticks. Granulomatous lesions may also form where a tick has bitten a dog. Lice are seen less commonly than fleas or ticks. They may cause pruritus in dogs. Often the whole body is affected and some areas of inflammation and hair loss may be noticed. The lice themselves are only about 1mm in length and it is often easier to spot the eggs which are attached to the base of the hair shafts. The eggs are an off white colour and look a bit like dandruff or scurf, but they are stuck to the hair and will not come away from the shaft as dandruff would. Various mites may infect the skin of dogs. Cheyletiella is a mite which may cause intense itching, together with dandruff and scaling skin. It seems to particularly affect the back. Otodectes cyanotis or the ear mite may also cause your dog some irritation. It sometimes causes irritation to the ear flaps as well as to the inside of the ear canal. Neotrombicula autumnalis or the harvest mite is another external parasite which may give your dog itchy skin. There are many external parasites which cause dogs to have problems with itchy skin. The product I generally choose to control such parasites is Frontline which comes as a spot on preparation or a pump action spray. I find it very effective if it is used according to the manufacturers instructions. There are also other products on the market which are very effective against external parasites and your own vet will be able to give you more information and direct you to a product which is suitable for your pet. If your dog has very sore patches of skin or hair loss associated with external parasites then further medication to relieve the itching and also possibly to treat secondary bacterial infections may be necessary. Your vet will be able to give you further advice if your dog has a problem with its skin. In small animal practice I see a large number of dogs which are suffering from itchy skin (pruritic skin). In many cases the problems are caused by external parasites, most commonly the flea. When faced with a dog which is suffering from itchy skin I always look for external parasites which may be causing the irritation before I do any further investigations. In the vast majority of dogs suffering in this way I will find fleas are the cause of the problem. A dog with itchy or pruritic skin may be observed grooming or scratching itself excessively. Sometimes the problem is only noticed when skin rashes, hot spots or bald patches appear.